The different areas of cosmetic dentistry became more popular these days. Of course, as what people say, the way you look becomes their first impression to you. Even in the sales and hospitality industry, first impressions counts! This mean that you need to practice creating beautiful smile confidently. Many procedures, devices and gadgets are offered for you in the market today. This is to attend the needs of our fellowmen who wished to take their smiles a level higher and to create great impressions. Even some of Hollywood’s known celebrities allowed their dentists to take charge of their smiles. Where the smiles are perfectly straight, perfectly white and perfectly proportioned, fake teeth are more prominent than you think! Some of Hollywood’s most iconic smiles were actually crafted in a dentist chair. Chances are, if they look too good to be true, they probably are. This is because most of Hollywood celebrities with iconic smiles are actually helped by their trusted dentists. Yes, you read it right! Porcelain veneers and teeth whitening are the most common dental procedure, under cosmetic dentistry, which your favorite icons love the most. Tom Cruise, Hilary Duff, George Clooney, Victoria Beckham, Catherine Zeta-Jones, Nicolas Cage and Miley Cirus are just some of them. You can even check their pictures years ago and their pictures today. And from there, you can see it yourself the huge difference and appreciate what cosmetic dentistry can do for you. Why porcelain veneers and teeth whitening? With all of those mentioned above, you might be wondering why porcelain veneers and teeth whitening are the most popular. Well I can tell you that statistics says it itself. They are saying that most of us are experiencing problems on teeth alignment and discoloration. Many of us are feeling shy when we smile because spaces between our teeth are evident. That’s not a new issue to you and me. Or, there might be times wherein you accidentally chipped or worn your teeth because you ate hard foods. How about stains in your teeth? Are they visible? These are just some of the questions we need to consider when assessing our oral health. This is not just a question for cosmetic purposes only. We need to take care of our health too! The word “cosmetic” always brings to mind the concept of appearance — of doing something “for looks.” However, cosmetic dentistry is not all about aesthetics; it’s also about maintaining healthy teeth and gums. Once you get your teeth straightened, reshaped and whitened, you will naturally be motivated to put an increased focus on your dental hygiene. You will certainly want to change your eating and drinking habits in order to prevent darkening or staining of your teeth. As a result of avoiding junk food, cigarettes and sugary drinks, your health will improve. Another major issue is the fact that people with crooked teeth sometimes develop severe chronic headaches. 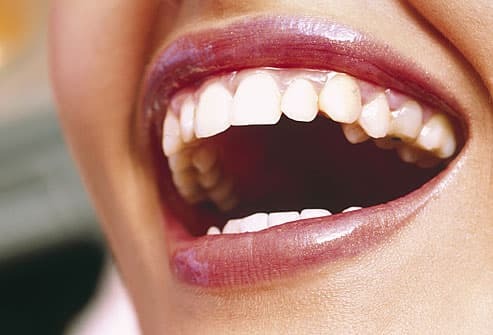 The misalignment creates an imbalanced bite force that radiates pain into the nearby muscles and nerves of the head, which is mistakenly read as a headache or migraine. Through this article, we are reminded that any alteration in the way we chew can lead to further problems if not corrected. Therefore, we need to bare in mind that taking care of our oral health should be our priority. It can also give you a natural motivation to screen and improve your lifestyle. This is because lifestyle plays a huge role in attaining your impressive smile. So take that corrective step now! I know that many of you who are reading this right now would ask me “when will be the right time to do the procedure?” Well I should say that the best time is now. It could be done some other time. Yes, that’s for sure! But that is if you are only after its cosmetic advantage. The main problem which we need to face is its ability to affect our total health. We need to take actions to that. It’s not just some “do-it-later” scheme. For me, the best way to enhance the value and enjoyment of life is to take care of what’s essential. And, for me, that is my health. So, if you are just like me, take some corrective actions now by seeing your trusted dentists and/or orthodontics. In my case, I trust Dr. Fenton of Laguna Vista Dental for that. You can contact your trusted oral health professional and make a stand for yourself. Keep smiling!